Wherever there is a big anything, the crowds or individuals soon gather for a selfie. 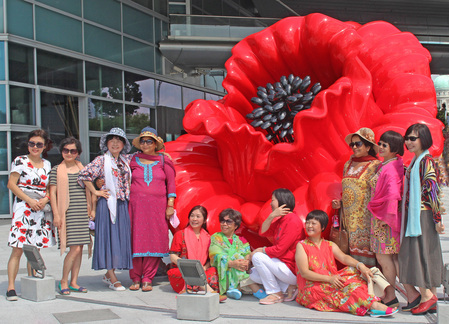 This big poppy was photographed on the edge of Marina Bay in Singapore. After observing this group of tourists, I thought there may be a market for a five-metre selfie stick.